Like our dictionaries? We know you’ll love this one. It’s ourcombination package deal. It contains much more than just the single dictionary you may be interested in. It contains them all. Yes all of our dictionaries, the full versions. 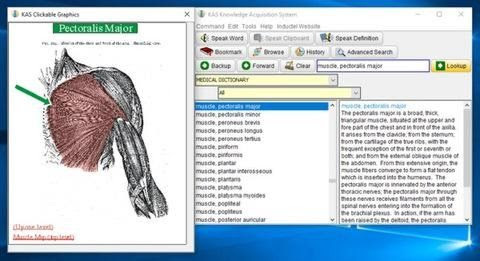 Example: It contains our Inductel Medical Dictionary, the whole thing: definitions, images, anatomy web, audio pronunciations. Example: The MicroLibrary menu. 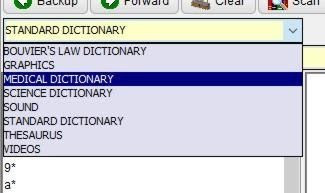 It gives you one click access to each dictionary. Refer to over 300,000 definitions. Listen to audio pronunciations and spoken definitions. Explore human anatomy in the anatomy web. It's a deal. 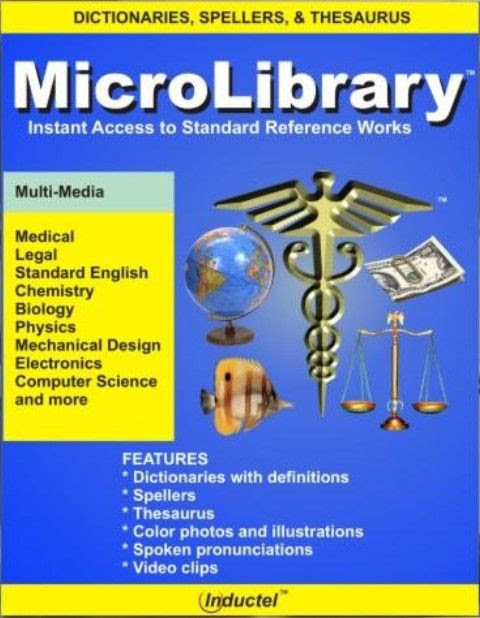 For just $1 more than our medical dictionary you’ll get our MicroLibrary. That’s right, for just $55.95 you’ll get our medical dictionary, our six scientific and technical dictionaries, our law dictionary, and our standard English dictionary. Yes. 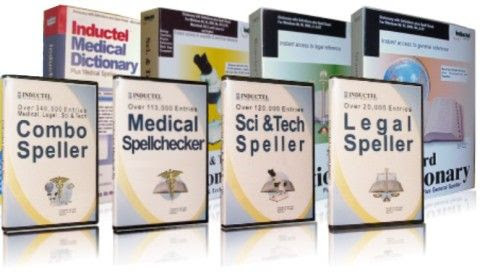 Full versions of each dictionary and spell checker together in one combo package deal. It’s on sale until October 17th. Then the price goes back to $94.95. So save big. Act now.